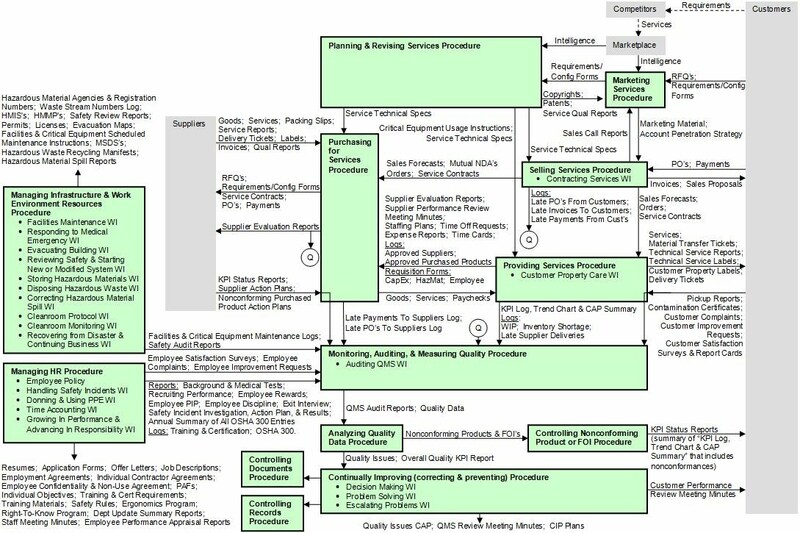 This site shares Procedures, Forms, Tools, & Concepts (a service management system ) that will help you improve the quality & performance of your maintenance organization. We've been managing service in high tech, capital equipment industries for over 20 years so everything is based on what works in the real world. The procedures, work instructions, & forms are written in a practical, straight-forward, & integrated manner so you could easily implement the entire system in a few weeks (pretty much plug & play). They're also aligned with ISO 9001:2000 so you could obtain certification shortly after you're up and running.